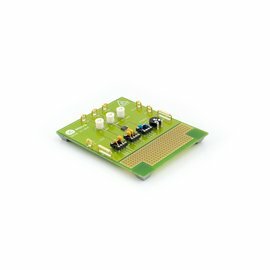 iC-WKM is a driver for laser diodes in continuous wave operation with laser currents of up to 350 mA, which requires only four external components. The wide power supply range of up to 15 V allows for operation of blue laser diodes. The iC includes a soft start of the regulator to protect the laser diode when the power supply is switched on. The iC also filters the laser diode power supply for transients.